With mods, it really seems like Skyrim is a limitless game. Today, it just got a bit bigger, as the mod Beyond Skyrim: Bruma is now out. 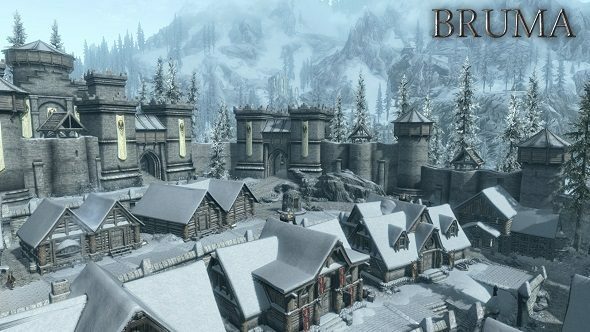 Centered around the city of Bruma, a city you may remember from Oblivion, Beyond Skyrim: Bruma is the start to a huge collaboration that, eventually, aims to add the entire of Cyrodiil to Skyrim. If you want to completely change the way Skyrim feels, you can use our list of the best Skyrim mods to find some interesting changes. The developers claim it’s larger and more dense than the Dragonborn DLC, with new quests, storylines, weapons, and three hours of music (you can listen to some of that in the trailer above). There’s no in-game restrictions, and once installed, you can simply walk from Skyrim to Bruma as if it was a part of the vanilla game. From there, explore away! It does, however, require all three official Skyrim DLCs, or the Legendary Edition, plus a specific memory patch. All of those details, plus information on how to install it, can be found on the Nexus Mods page.